PlayStation VR is the latest technology for gaming that lets you go virtual in your gaming world. 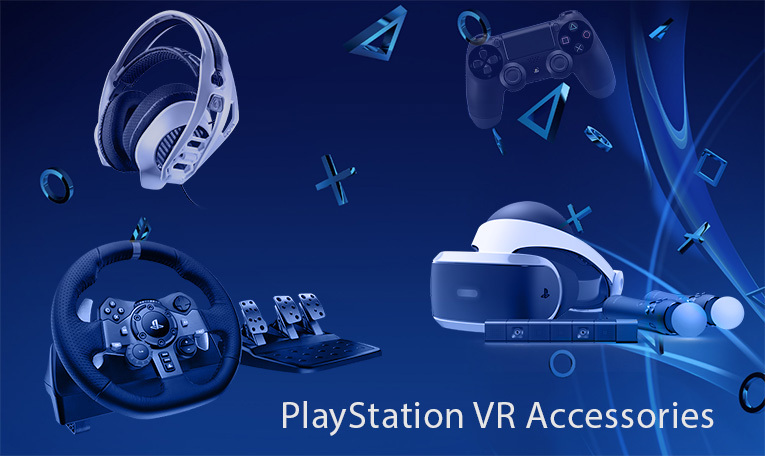 The PlayStation VR accessories are designed specially to give you an improved play and storage that will help you beat your high score with ease and make you stick on that PlayStation for hours. They are the best accessories you can fit your PlayStation. Let us discus 10 of the best PlayStation VR accessories. This one of the crucial gaming VR accessory. 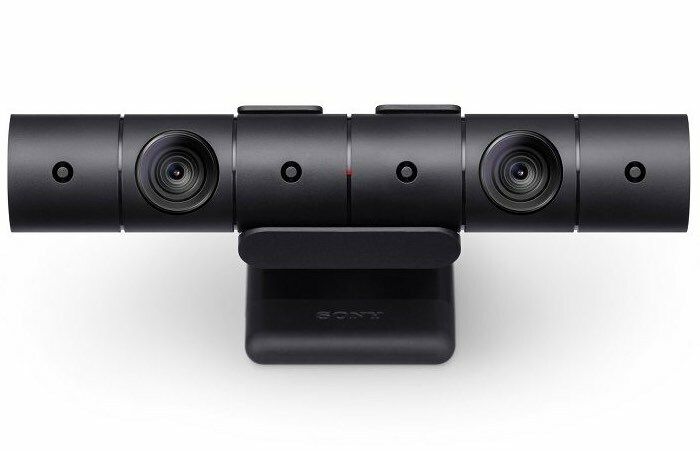 The VR camera uses high-sensitivity 3D technology to accurately track you, your PlayStation, and most important your dual shock. When we say it tracks you, it specifically tracks the movements of your head and when it tracks the Dual Shocks, it is actually tracking your hands since they are the one controlling the shocks. As a result, what you get is a reality of your movement in the virtual world. That’s the big deal with the camera. Now you see how crucial its? This another essential gaming accessory, what can you do without the controllers in the VR technology? Nothing. This is because they form the most intuitive and exciting part of the game. In the virtual reality, they immerse you deep in the game by putting your movements into action. They are responsible for tracking your hands in VR. Your action in the game depends on how well you are able to use these controllers. They enable you to act instinctively in the game and someone may think you are nuts. Want a more organized ready to use PlayStation VR accessories, PowerA is the tool to have. It promises you of a well-organized and safely stored PlayStation VR accessories. Apart from that, it makes sure the accessories are ready to use by giving you the ability to store them charged, not only charged but wirelessly charged so don’t have to keep bothering yourself with the extensions and cables. This includes two move controllers and a dual shock 4 controller. It also includes a stand where you can safely place the PlayStation VR headset. The interesting part of it is that it saves you from that nasty feeling that strikes when you want to play some games but your wireless devices are out of charge. This is a case that is specifically designed for PlayStation VR. It is designed in a way that is shock proof to protect the fragile parts of the adventure like the lenses. 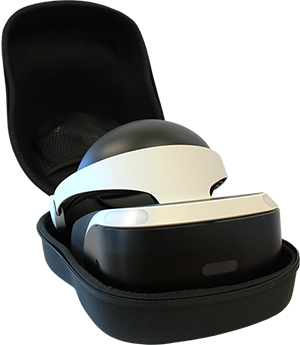 Its shape is made specifically and much suitable for your PlayStation VR. This reduces the movement of the PlayStation. Apart from the shock-proof material fitted inside, the external material is relatively hard, protecting it from external damage. Deluxe Carry Case enables you to travel with your adventure or store it safely. This is a totally different case from the Deluxe carry case. 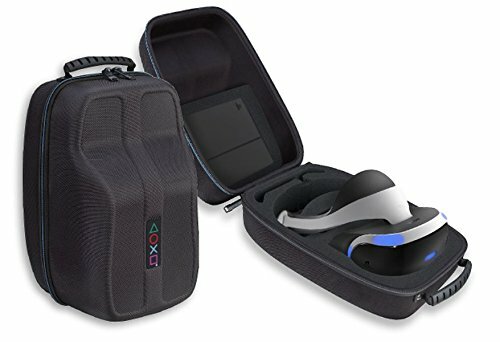 The storage case for PlayStation VR is specifically meant for storing the PlayStation when you have no plans to use it in a couple of days or even hours, or for short travels. It is most appropriate for indoor use since it is not more protective compared to the Deluxe Carry Case. The main purpose of the storage case is to keep your VR headset away from dust, petty dirt, and minor bumps. We are now at the heart of the PlayStation VR fun. This headset will make you hover in your living room like a crazy person. They are products of Plantronics and Sony companies. 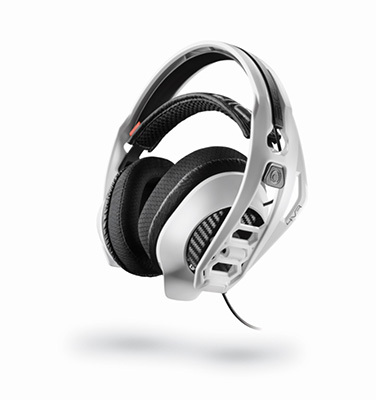 It is designed to immerse you deeper into the 3D world through 3D sounds. It is made comfortable for you to spend hours wearing it. Currently, the PlayStation VR supports only wired headphones. For safety purposes, its cable is fixed slightly behind your ear. 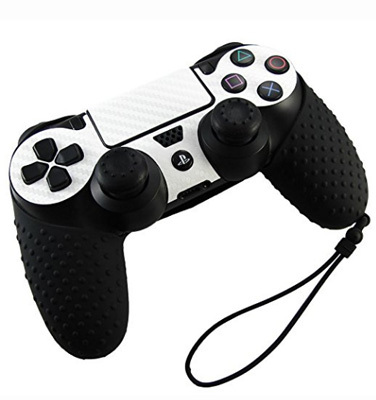 PlayStation controller grip will always play an important role in your gaming and thus it is important to keep it safe and in good condition. Sony Controller Grip with a hand strip is the way to go since the hand strip is an assurance of safety against physical damage. This is implemented by wearing the hand strip while you use it. When you are in the Virtual world, you lose track of the things around you and even forget you are holding something. You all know and probably felt that instinct that tends to control your actions while gaming, this exposes the controllers to potential damages. It falls under Virtual Reality Sports where you can experience the adventure and sport at the same time. Here, your leaning and pedaling ability is the action or in other words, this what will sustain you in the game. It is the first device designed to pedal and move in VR. The sensors integrated into the bike make it possible to submit your pedalling speed backward and forward to the virtual world and to track your leaning. To increase your gaming performance, the bike includes controls to choose the pedaling resistance that is most suitable. The bike operates quietly for you to hear the game sounds. It also has a wider base for stability, thus suitable for everyone in the family. Do you need a racing wheel that is more effective and affordable? 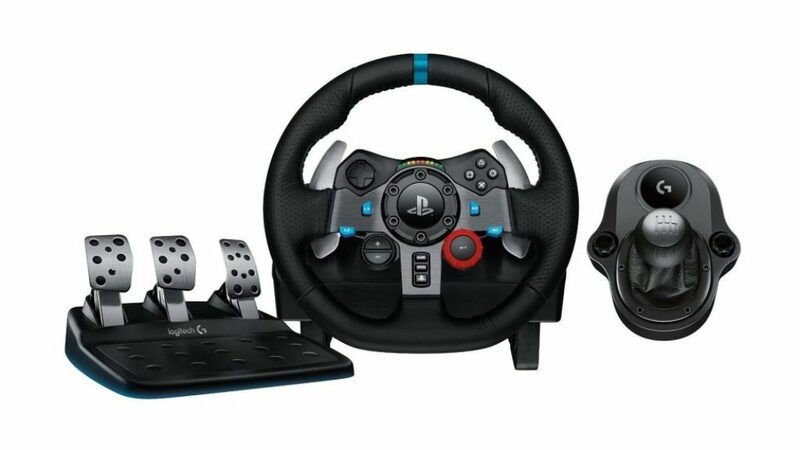 Logitech Driving Force G29 Race Wheel is the one to purchase. It is designed for PlayStation 3 and 4. Like the Thrustmaster, it comes with paddle shifters. At the center of the steering wheel, you find controls that include light shifters. You can as well purchase a Shifter accessory to boost your Driving force. Some of the PlayStation games are meant to be played while seated. This brings the need of having a chair. Think about siting and swinging on that awesome chair in the office doing some work or just staring at a file. The gaming world also needs such comfort to prevent you from fatigue and backache. RapidX provides you with the most comfortable you can ever sit on especially its RapidX Ferrino. 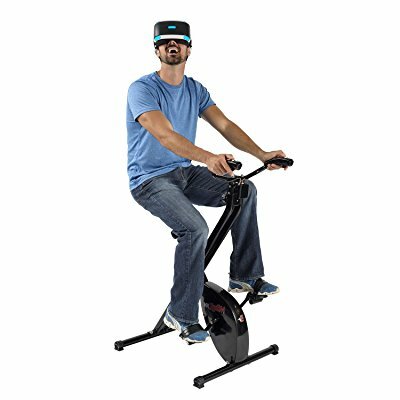 After looking at the above PlayStation VR accessories, we now have the picture how these accessories can rock our VR games. It will be wise to purchase any of them but you will definitely get confused on what to purchase first, especially if your budget cannot accommodate all of them at a go.